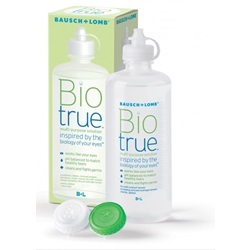 Biotrue Contact Lens Solution, 10 oz. 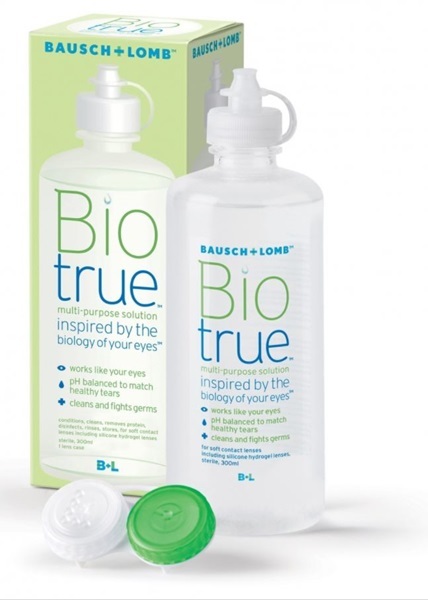 Sterile Biotrue contact lens solution in a 10oz. bottle. Contains Hyaluronan, Sulfobetaine, Poloxamine, and Boric Acid. For soft contact lenses including silicone hydrogel lenses. Provides up to 20 hours of moisture. Manufactured by Bausch & Lomb. Comes as singles.